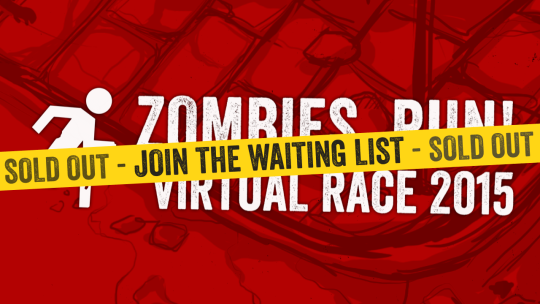 Join the Virtual Race waiting list! – Zombies, Run! Join the Virtual Race waiting list! Thanks to everyone who has already entered the very first ZR Virtual Race! We’ve been overwhelmed by the demand – the first batch of 1500 entries has now sold out! If you didn’t manage to sign up yet, never fear – we’re hoping to make some more entries available very soon. Make sure that you sign up to the waiting list, and we’ll let you know as soon as the second wave goes on sale! Previous Post The Codex is now on Android!